I noticed that a lot of people have been viewing my post about some of the new knitting books that recently came out. 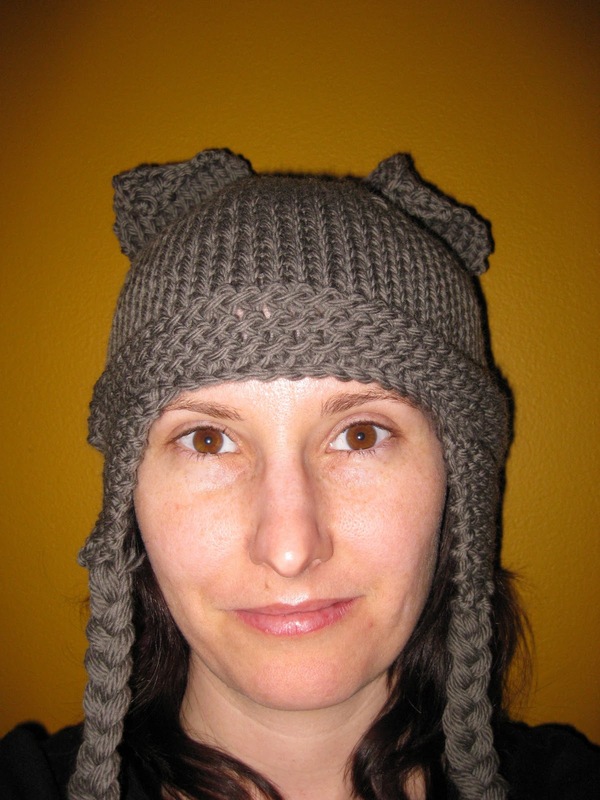 Last week, while procrastinating about my project for NaNoWriMo, I finished the two patterns from Vampire Knits: the Descent into Darkness Wrap and the Werewolf Hat. Did you know that the Werewolf Hat can be adapted for dollies too?